Leading Exporter of load banks and resistive load banks from Hyderabad. Matrusree leads the way in Load Bank design and digital control technology. All digital controls are at the Touch of your fingertips. Take Control with easy to use unique programs that display status, provide accuracy, programming and data logging. Power to take control of all load testing requirements. Matrusree's world leading design technology results in an easy to use, digitally controlled, reliable, low maintenance product range that is equal to the challenge of modern power system demands. Matrusree manufactures both the load banks and the auxiliary equipment necessary to handle these and other applications. 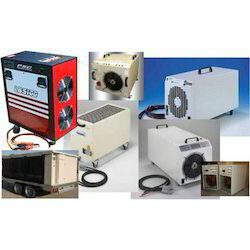 Matrusree load banks are accurate, compact, quiet, weatherproof, corrosion proof and transportable. Our designs solve the limits of operation, suitability, accuracy, reliability and durability found in other products. All standard Matrusree Load Banks are rated for continuous operation in all tropical ambient temperatures customized versions are available for operation at higher temperatures. Resistive load banks can be manufactured to any size at any voltage and frequency to suit customer’s requirements. A standard range of load banks with ratings between 2kW and 3500kW at customers specified voltage and frequency are available in standard frame sizes. Resistive load banks are not affected by change in frequency but must not be operated at voltages above the specified voltage. They may however be used on lower voltages, but the total load available will be proportionally reduced. 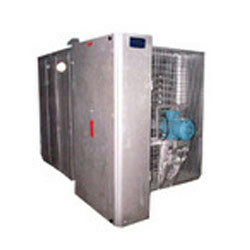 When operating at reduced voltages or at frequencies other than the specified frequency the cooling fans and control circuits will require the connection of a suitable external auxiliary supply. Standard resistive load banks with ratings up to 1600kW are available in folded steel enclosures; larger banks with ratings up to 3500kW are built in ISO type containers. Matrusree Load Banks are available in Resistive form and is designed to produce a controlled, variable AC load for commissioning, periodic testing or load management of generators, UPS systems and many other similar applications. A Resistive Load Banks is a device which develops an electrical load, applies the load to an electrical power source and converts or dissipates the resultant power output of the source. The purpose of a load bank is to accurately follow the operational or “real” load that a power source will see in actual application. Offered products are available with us in different specifications to the diversified demand of the client. Moreover, client can avail the offered product from us at market leading prices. Looking for Load Banks ?